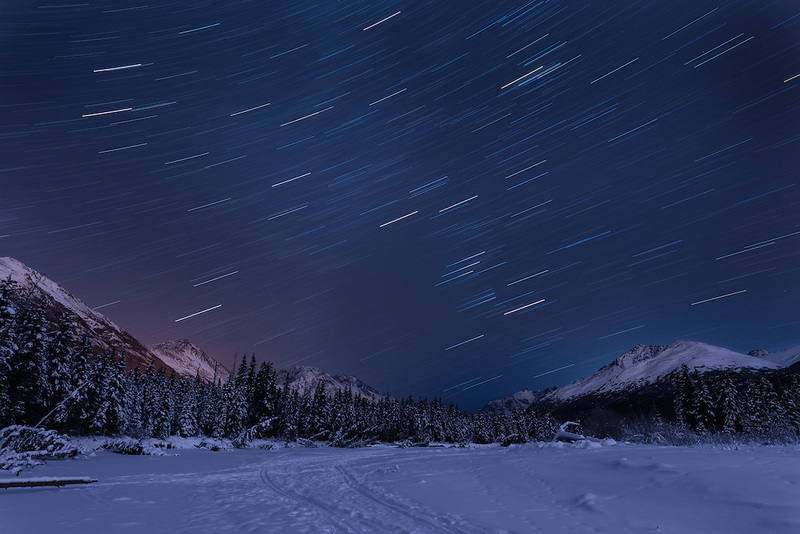 Long exposure of night skies above Chugach Mountains and Eagle River Valley in Southcentral Alaska. Winter. Evening.